Deborah Fairfull It is possible to find a quiet space beyond the "busyness" of our mind where we can tune into the wisdom of our intuition. Of course when we hear it, we need to TRUST it and act on it. I used to allow my busy mind and fear override my intuition all the... moreIt is possible to find a quiet space beyond the "busyness" of our mind where we can tune into the wisdom of our intuition. Of course when we hear it, we need to TRUST it and act on it. Deborah Fairfull During this week we are exploring the power of intuition. You can calm your mind, and tap into your inner wisdom (same as your intuition) to see what is right for you, when you send out your manifesting intentions. 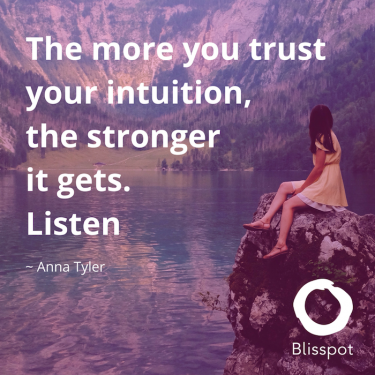 Yes, your intuition can seem like a... moreDuring this week we are exploring the power of intuition. You can calm your mind, and tap into your inner wisdom (same as your intuition) to see what is right for you, when you send out your manifesting intentions. Yes, your intuition can seem like a "smarty pants" in that it is always right for you!! It is like a muscle that can be developed by valuing it, listening and acting on it. During this week we are exploring the power of intuition. You can calm your mind, and tap into your inner wisdom (same as your intuition) to see what is right for you, when you send out your manifesting intentions. Yes, your intuition can seem like a... moreDuring this week we are exploring the power of intuition. You can calm your mind, and tap into your inner wisdom (same as your intuition) to see what is right for you, when you send out your manifesting intentions. 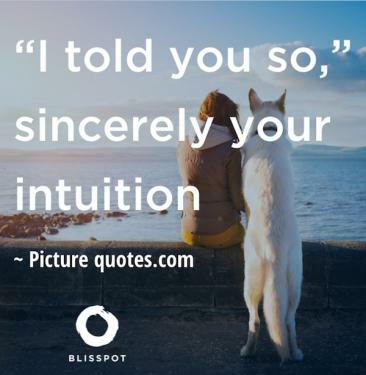 Yes, your intuition can seem like a "smarty pants" in that it is always right for you!! It is like a muscle that can be developed by valuing it, listening and acting on it.